Dr. Stephen C. Nash was born in Phoenix, Arizona. He grew up in Muskogee, Oklahoma, where he received his elementary and high school education. Attend Northeastern State University in Tahlequah, Oklahoma where he majored in Vocal Music. In 1969, he transferred to Bishop College and majored in Religion and Philosophy, graduating in 1974 with a Bachelor of Arts Degree. He earned double Masters of Arts Degrees in, Biblical Studies and Divinity in 1990 from Aspen Theological Seminary in Aurora, Colorado. He earned a Masters of Arts in Religious Education, 1991 and his Doctor of Philosophy Degree (Ph. D.) in Urban Ministries in 1991 and his Doctor of Philosophy Degree (Ph. D.) in Christian Education in 1993. Both degrees were earned from Aspen Theological Seminary in Aurora, Colorado. Dr. Nash earned a third Doctor of Philosophy Degree in Christian Counseling from Survine Ministries Bible College and Theological Seminary, Aurora, Colorado in 1993. He has one Honorary Degree, Doctor of Divinity (D.D.) from Aspen Theological Seminary, 1991. Dr. Nash received a second Honorary Doctor Degree from Vision International University (Dallas Chapter) located in Ramona California in 2007. 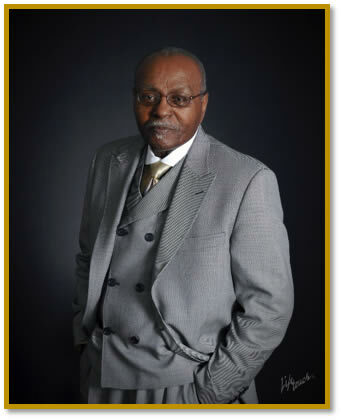 Dr. Nash has more than forty-two years of pastoral experience, and presently is pastor of the Mt. Tabor Baptist Church of Dallas, TX. Dr. Nash has authored several books. His first book entitled, A Stewardship Primer (textbook for the National Baptist Convention USA, Inc. Department of Christian Education, course #206 for all levels) was published in 1988. His other works include, A Black man’s Place In The Son, Ebony On The Scene, Positives From The Black Corner, A Major Entrustment, The First Church Black, The Call Back: God First Volume I, The Call Back: God First Volume II and Obama mania: In Light of Biblical History. Dr. Nash is President of the Interdenominational Ministers’ Alliance (IMA) of Greater Dallas; President of the Baptist Missionary and Education (B.M. & E.) State Convention of Texas; he serves as Executive Committee Member/Board Member, National Baptist Convention USA, Inc.; Vice-Chairman/Executive Board Member of the TNT. Moderator of the Northwestern Baptist District Association. He has received numerous other certificates, recognitions, awards and has much more to offer to the ministry in years to come. He is the father of two; Angela Carol Nash-Hutchins (Jon’ Keith), and Reverend Stephen C. Nash, Jr. ( Fran ‘gee), and proud grandfather of Joshua James Robinson, Jaelah Thomas, Stephen C. Nash, III, Jadan BreAnna Robinson, Saelah Cam’ree Nash and Justus Jon’ Keith Hutchins.